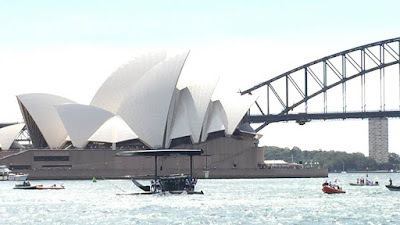 In race number two on the second day of the Extreme Sailing Series™ in Sydney, Australia, Lino Sonego Team Italia capsized when a big gust of wind coming off the Sydney Opera House caught the Italian team off guard. 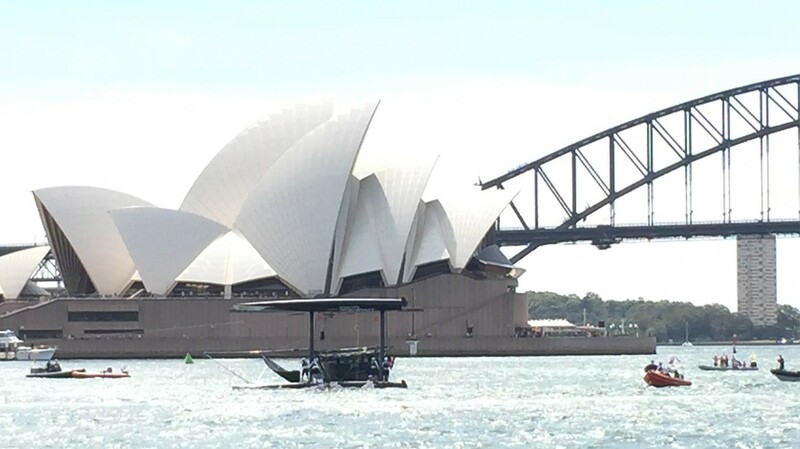 The Safety Team were immediately on site to provide assistance and all the crew, which includes Italians Enrico Zennaro, Nevio Sabadin and Stefano Rizzi as well as French helm and Olympic sailor Pierre Pennec and Britsh sailor Tom Buggy, were confirmed safe. The fleet were already split so there were only six boats racing at the time as a safety precaution and all boats had reefs in their sails. The Safety Team did a fantastic job of righting the boat within 30 minutes of incident happening and the Italian team incredibly made it back onto the racecourse for the next race.